Starting today, prepare for major changes in our weather pattern. Tonight a cold front will be coming through the area. 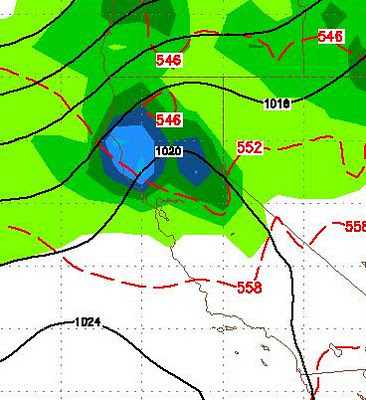 It will snow some in the Sierra, but probably not much. It will bring very cold air that will plunge low temperatures on Monday night into the single digits. This is just the first of a 4 part wave to hit the area. When all is said and done, expect 5-10 inches of liquid precip in the Sierra. This system will tap into very moist air from the tropics and has the potential of dumping a tremendous amount of moisture in a very short period of time. 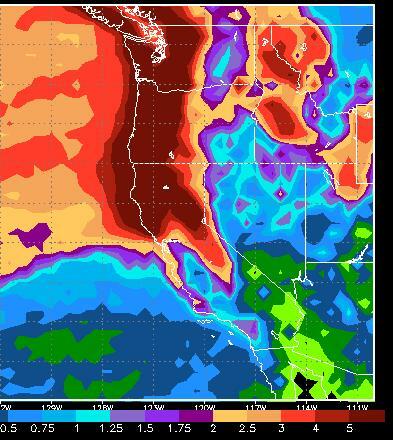 As you can see, the Northwestern half of Lake Tahoe is in the 5+ inch zone. 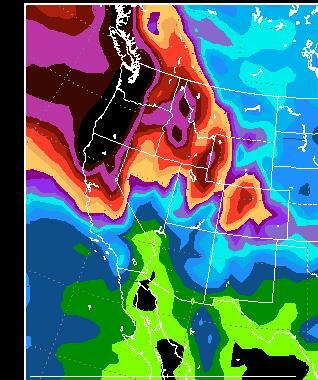 The leeward valley's of Reno and Carson look to be in the 2-4 inch range. If these storms shift just a hair south then this could be a major event. There is still a big swath of 10+ inch moisture just to the west of us. All of Tahoe is in the 6-8 inch range. The biggest risk to this not being a great event are the snow levels of these warm, wet storms. 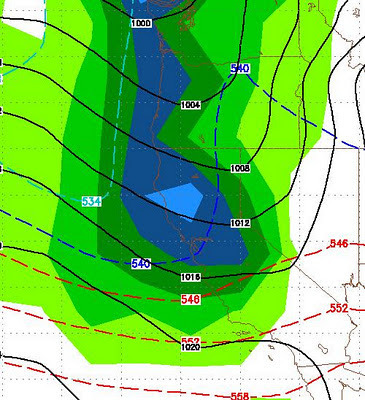 The worst case scenario, which I do not believe is likely, would be for this entire event to be rain above 9,000 feet. That would almost surely wipe out all the man made snow and probably cause some very minor flash flooding. The best case scenario would be for snow levels to drop to 7,000 or below for the entire event. In that case we could expect 4-8 feet of snow by the middle of next week. The likely scenario, is somewhere between the best and worst case scenarios. That likely scenario is where I will be concentrating my efforts in the coming days. Thanks for your blog! 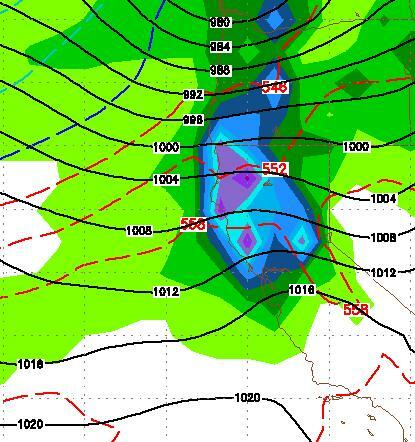 I'm curious, what is your source for the GFS images? Thanks.